Lesley always loved to draw and was awarded the school's art prize in her final year at Solihull School. She gained an Honours degree in Graphic Design at Coventry University in the early1980's, after which she took portrait commissions. After taking a break to raise a family, she returned to fine art in 2008. Lesley works predominantly in oil, chalk pastel and charcoal. In 2009 she was awarded the Terry Biggs cup for 'Best in Show' at the St Albans Art Society annual exhibition. In 2011 her work was Highly Commended at both Patchings and the Prize Open at the Royal Birmingham Society of Artists. And in April 2012 Lesley was elected an Associate member of the Royal Birmingham Society of Artists also becoming a member of the Hesketh Hubbard Art Society. 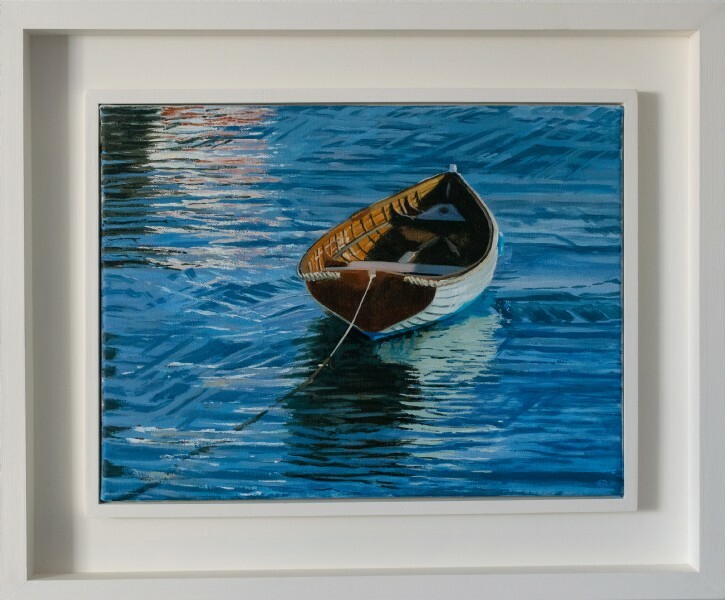 She has exhibited with several other major societies including the Royal Society of Marine Artists, the Society of Women Artists, the Royal Institute of Oil Painters and Chelsea Art Society. 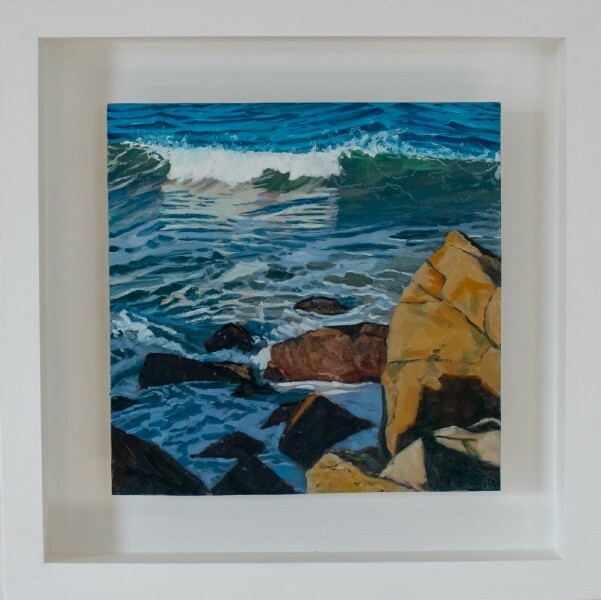 Lesley enjoys painting coastal marine scenes and her painting is both figurative and representational. She loves to paint water and reflections, enjoying the fine linear detail of a hand crafted wooden boat juxtaposed with the more abstract quality of water - a favoured combination in her work. 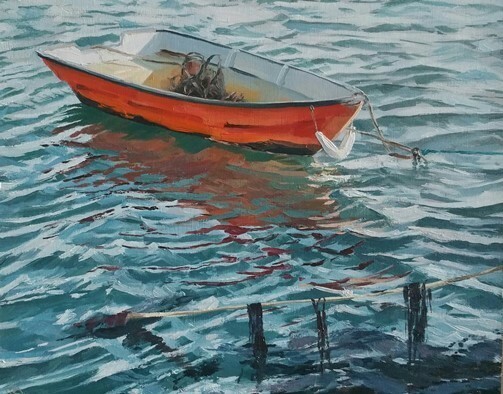 The magical atmosphere of Britain's small coastal fishing harbours offer endless subject matter, and she aims to capture the uniquely British scenes in her painting. 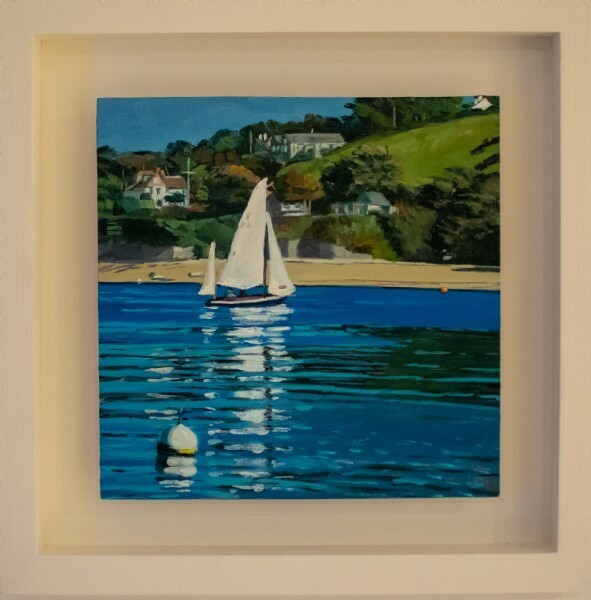 The majority of her paintings are small, typically 20 x 25 cms. In contrast to the detail work of her oil painting, Lesley is a regular at life drawing classes at the Prince's Drawing School and the Hesketh Hubbard Art Society.